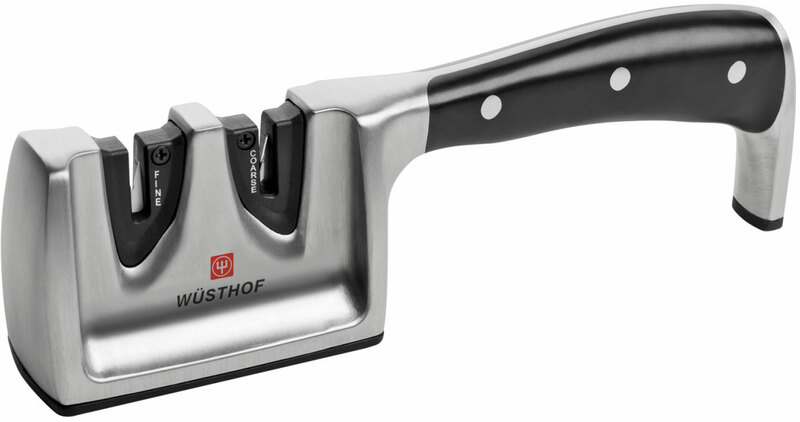 This stylish two-stage knife sharpener from Wüsthof requires nothing but a few easy strokes to keep blades sharp. The first stage diamond rods (coarse) sharpen dull edges. 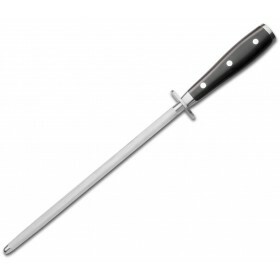 The second stage ceramic rods (fine) provide a polished, razor-sharp edge. 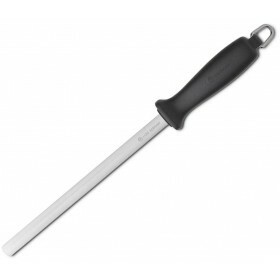 Can be used on serrated and scalloped knives (second stage only). 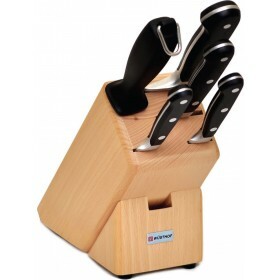 Stainless steel body with triple-riveted handle. 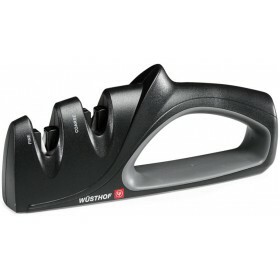 We have purchased a Wusthof 2-stage Ikon Knife Sharpener from Teddingtons, Wow very impressed with it all up, The quality is perfect, easy to use, you want sharp knives this is the sharpener, stay away from other cheap stuff this is Wusthof Ikon Knife Sharpener from Teddingtons is a 100% better. Not a throw away item. Teddingtons, Very fast post out, simple. no dramas. Go for it you can not go wrong. I just bought a Wusthof 2-stage IKON Knife Sharpener from Teddingtons and I am very happy to recommended this seller to every one. 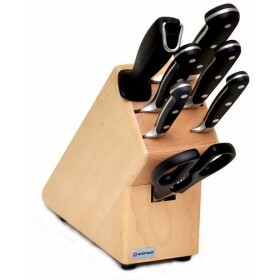 The item is very good and the price is excellent, fast delivery. I am a very happy buyer.